On eating food, stuff you like, as much as you want. The past year or so, I’ve thought about food a lot. I’ve eaten it, cooked it, bought it, read about it, talked about it and above all thought about it a shitload, to be honest. It started about two years ago with me realising that I weigh more than I did when I was 16 and decided it was a good idea to try to aim to weigh that much again. I have realised that I’ve come a long way since then. Granted, I still talk about food and nutrition with my friends more than they care to pretend to be interested in. In November, I started reading about raw food and tried it (well, kind of) for a while (for me, it started with reading this post in a Finnish blog). I bought expensive seaweed and got married to my blender. I got a bit obsessed about it, actually. The food was supposed to make me feel really good. What I didn’t realise was that the food I ate previously didn’t make me feel bad, quite the contrary. After all that, I remembered the awesome Fat Nutritionist and re-read her thoughts on healthy eating: Eat food. Stuff you like. As much as you want (a jab at Michael Pollan, who does say some very interesting things also). 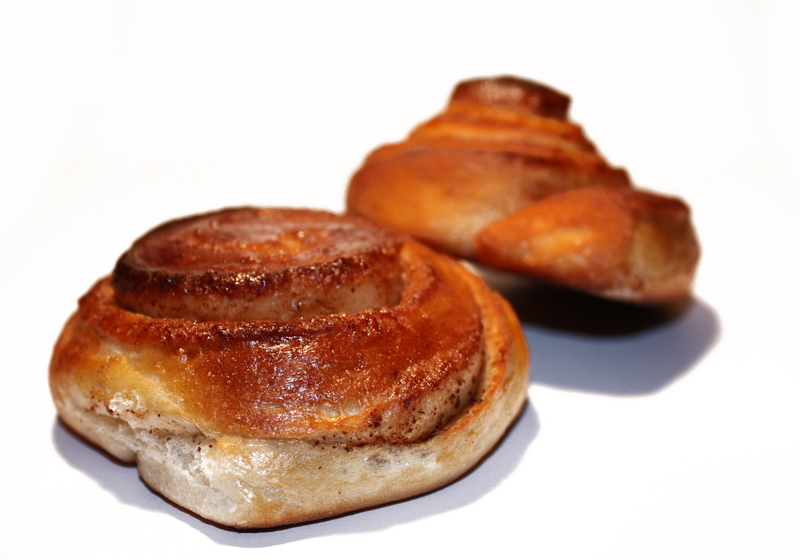 So after a month or so I baked cinnamon rolls – and ate four of them right then, right there. Wuaah! Sugar! Wheat! Butter! Toxic cinnamon! But guess what? They tasted amazing, and nothing happened. I did not die – quite the contrary: I felt great. I also felt a little bit silly about my food obsession. All this time I had convinced myself that it was all about getting ‘healthier’, when it, in the back of my mind, was about getting thinner, too. It’s not only a disturbing thought because there is nothing wrong with my body, but because a lot of the links between health and weight are skewed, to say the least. So now, when the instructor at my gym yells at me to do a move harder because it will make my ‘arse look good’, I get pissed off. I want to go to the gym to feel better, to get fitter and healthier. I’ve messed up my relationship with my body quite enough on my own. Have started to consider taking a leaf out of Hunter Thompson’s book. That is a passage from Seven Years as a Freelance Writer, or, How to Make Vitamin Soup by Richard Morgan. Read it, it’s awesome. There’s nothing worse for your self-esteem than trying to get a job in the media when you’re just starting out. Every day you hear about companies firing more people without replacing them. And every day more people want to work in the media. If you aren’t willing to go the extra mile to get the job, there will be heaps of other people that will. That’s just something you have to accept. What has also happened is that the media companies have started the application for summer jobs earlier and earlier. Naively, I thought that sending an application before the deadline is enough. Turns out, most of the positions have been filled before the deadline. So now I’m sitting here, writing applications for jobs that have already been filled. If I ever get called to an interview in the future, I am seriously considering flaunting a finger trick, maybe just a different kind that the Morgan one. I haven’t had a proper media job in over a year. Everything that I have gotten published is old news. Instead I’ve moved to the other side of the world – twice. I’ve met some wonderful, wonderful people and made new friends, fallen in love, studied Baudelaire and Adorno, tried to learn a new language and tried to come to terms with my own westernness. I’ve swam in the world’s largest reef, sandboarded in the world’s oldest desert and almost stepped on a land mine. I’ve learned more than I will ever truly appreciate before I’m old. While I hate that it’s such a cliché to have travel-related life experience stories, all this made me grow. At some point in my life, I will be skilled and experienced enough to be on the same line as all the other applicants. I’m not there yet, but I will do my best to be. And then the past year will matter. So while I’m depressing over all these awesome jobs I won’t get, I think about the ending scene of 21. Tomorrow, the sun rises at 8.40 and sets at 15.33. That’s right, the length of day is 6 hours, 52 minutes and 47 seconds. In a month it will be over 1 hour shorter still. Since I can’t afford this, my therapy of choice is this, this and this. Two things you should read: Sady Doyle on #MenCallMeThings and Hynek Pallas on Drive (in swedish). They say things so much better than I ever could. In Melbourne again (Yes, I’ve done enough planet destroying for a lifetime with my flying all over the place. I feel bad, but freight ships to places like Australia take too long). Now, Melbourne is wonderful. It’s not just because the Economist Intelligence Unit says so. It’s so much more metropolitan, multicultural, open-minded than my home city. It’s not perfect of course, but I love its flaws too. I have, for instance, learned not to get riled up about planning issues and urban sprawl (ie everybody needing their own house and their own back yard). It’s part of the package. Today I wondered whether I would ever learn to talk as much and as fast as many Australians do (disclaimer: not all, of course, and this is just my personal observation). I don’t know whether this is because I’m Finnish or because I have some personality traits of a 80-year old, but I like silence. Sometimes it’s true that you shouldn’t say anything if you have nothing good to say. Then again, yesterday I was told: “You are so cold. But I guess it’s just how you Scandinavians are”. “This is Africa”, my friend often says. This is usually in a situation where there is a problem and I have gotten angry and frustrated. I complain about Africa a lot. Even though I have been in this part of the world for two months now, I still get frustrated whenever the internet that we are supposed to have access to doesn’t work. I get angry when there is no hot water. I sometimes don’t have the patience to start each sentence with ‘how are you’ etc when there is a problem to be solved. And then my Namibian friend says, ‘silly rabbit, this is Africa’. The truth is, there are often problems. These problems are, however, almost always solved. Conversations cannot start in any other way than with asking how someone is. People should not be rushed, even if you are in a hurry. Politeness and formality is important. In spite of the two months, I still expect the internet to work. I still get frustrated. I act as the rich, efficiency obsessed westerner that I am. But then I think about the people I’ve met, and the places I’ve visited. I think about how nice it is that people look you in the eye and ask you how you are. 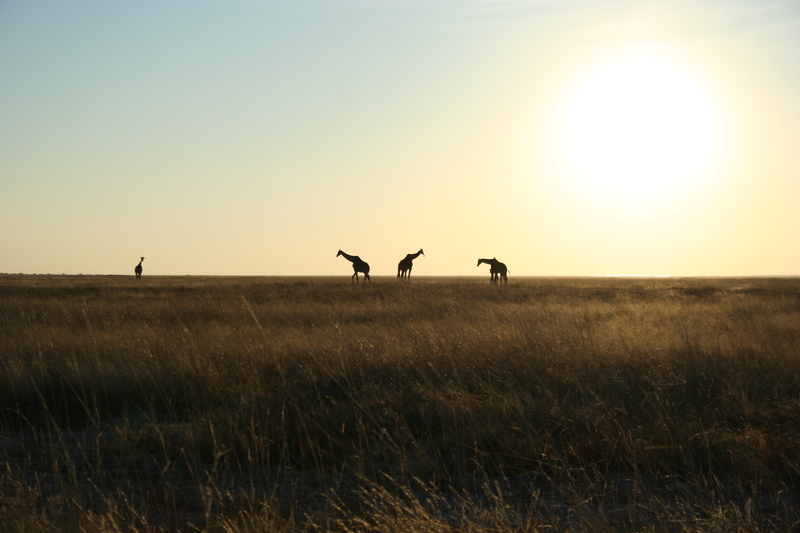 I think about the giraffes we saw in Etosha national park. I have now spent over a month in south-western Africa, namely Windhoek, Namibia. People say it is Africa for beginners. I do not really know what that means. Does a country have to have no infrastructure, terrible poverty and a political crisis to ‘deserve’ to be part of Africa? That said, though they say Namibia is a middle-income country, this income is very unevenly distributed. Many Namibians live in poverty – in a few years the tin shacks in Katutura in Windhoek have multiplied and multiplied. Germany colonialised Namibia in the late 19th century, and after World War I South Africa took over. This means that Namibia is still recovering from the consequences of Apartheid. This is what has struck me most – how divided Windhoek is. The most hands-on way to experience this for a foreigner is to drive around in Klein Windhoek (white) and Katutura (black). The odds are the person behind the wheel in the enourmous 4wd jeep is white. He might be driving to his farm – the majority of Namibian land is still owned by whites. A few weeks ago we were taken to Kiepie’s, a bar where there’s a live band, wooden floors, ‘couple’ dancing (something the locals call windsurfing) and only white people – Boer farmers, mainly, according to the people who took us there. It was bizarre to be in a place like that in a city with maybe five per cent white people. The climax of the night was definitely when they played ‘Black or White’. No, it didn’t matter if you’re black of white – everybody just happened to be white. Now, before you start raging about my ignorance I need to acknowledge that I am from a very homogenous country. It is easy to point out that the moviegoers are white and the politicians in the upper house are black. It is easy for me to question the land ownership issue – I do not live here. I am not even pretending to have enough knowledge about the country to be able to analyse this well. I can just observe. I might see it in a black and white way, but what I’ve seen so far is just that, black and white.